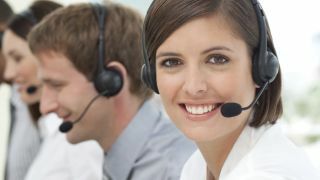 Enghouse Interactive is planning to a new feature to its CTI Connect middleware to support the migration of contact centres to MS Lync without having to upgrade all other previously incompatible systems. The company, which develops customer interaction solutions, says the new solution will be unveiled at the Unified Communications Expo in London on 5-6 March. Enghouse Interactive says the new feature should also enable IT and communications teams to turn around upgrade projects more quickly. CTI Connect provides out-of-the-box integration with all major PBX systems for the creation of unified communications and contact centre solutions at significantly lower costs. "Microsoft Lync is a very attractive solution and while they will want to reap the benefits, many businesses will have neither the time nor the resources to develop an appropriate solution. Through Enghouse Interactive, contact centres have an affordable and quick answer to their connectivity issues."